The beautiful ferry boats are now available for a number of products, departing Tewantin, Noosaville, Noosa Sound and Noosa Heads. Discover the beautiful waterway and its townships at a leisurely pace. 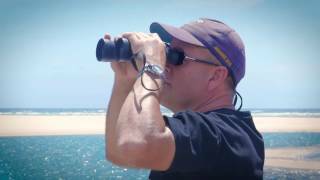 Enjoy the skippers commentary highlighting Noosa's points of interest, attractions, history and wildlife. 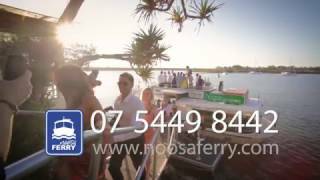 Explore Noosa the easy way with the Noosa Ferry Classic Cruise, operating every day of the week with seven stops along the Noosa River - no need to book. 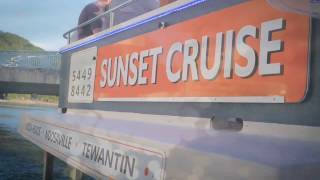 Enjoy the perfect pre dinner experience with their Sunset Cruise - Tuesday to Saturday inclusive - booking essential. Join them for a natural noosa experience with their new Eco Cruise Noosa, Tuesdays and Thursdays - booking essential. Private Charter their boat for a private event - weddings, birthdays and corporate events welcomed. 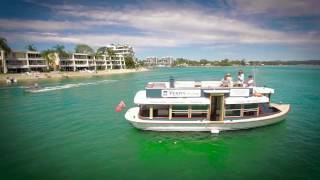 Certified Nature Tourism - Explore Noosa the Easy Way on the relaxing still water journey between Tewantin and Noosa Heads. Cruise Experience includes tour and commentary. Bring your own drinks, they will provide glassware and ice - the perfect pre dinner experience and will drop you off to your favourite waterfront restaurant. Bookings essential. Operates Tuesday to Saturday inclusive. Eco certified - Explore Noosa Biosphere Reserve. Let them take you to a beautiful spot on the Noosa River. They will drop anchor, provide you with a morning tea, binoculars and bird and plant identification booklets as they discuss nature and Noosa. Departs Tuesday and Thursday. Booking is essential.